Are you a Registered Nurse or Licensed Practical Nurse with Perioperative Certification looking for an opportunity to start in permanent work? Consider Royal Inland Hospital located in Kamloops, BC, with openings for full-time or part-time, employment. Royal Inland Hospital (RIH) is a 254 Acute Care bed, territory hospital with 170 Medical/Surgical beds. High-level, specialty medical care is offered that includes core physician specialties, 24 emergency and trauma services, ambulatory and outpatient clinics, and diagnostic services. Our uniqueness is in who we are and where we are. Your enthusiasm and motivation combined with our commitment to set new standards of excellence makes Interior Health the right choice for you. We are dedicated to effective quality care and patient advocacy and have leadership that is committed to teamwork, empowerment, and innovation. 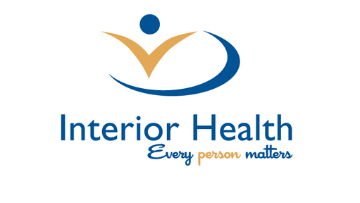 Interior Health can offer you an environment that will challenge your professional, technical, and practical skills. The Perioperative Department has nine theatres offering inpatient surgical services that include: general surgery (MIS bowels, hernias, spleen), obs/gyne, surgery, urology (MIS nephrectomy), ortho (2 rooms, 1 total joints, sports medicine), ENT & retinal, neuro, vascular (AAA stents), major plastics, dental, laser cases (Holmium, CO2, YAG), and trauma. The staffing complement consists of a Patient Care Coordinator, Clinical Educator, RNs, LPNs, Anesthetic Assistants, Peri-Operative Aides, and Unit Clerks. Recognition of previous experience when determining starting salary. Extended Health Benefits for your immediate family members and you. An orientation to the OR Dept. tailor made to you, with average orientation being 12 weeks. Resource nurses that ensure there is on-going support and teaching for all staff members. If you are a certified OR Nurse with passion to begin helping those coming into RIH for inpatient surgical services, we welcome to hear from you! We have a supportive and cohesive manager and team waiting to meet you! What makes people want to settle down in Kamloops? Kamloops, the second largest city in the southern interior of BC, is famous for its hospitality, offering residents all the amenities of a big city - first class accommodation and dining, a lively arts scene, modern shops, a full range of businesses and wonderful parks and recreation facilities. The landscape is characterized by rivers, mountains, lakes and grasslands which offer unsurpassed opportunities for year-round outdoor adventure, enough to keep even the most avid outdoor enthusiast busy. Blue skies, endless sunshine, deep powder snow, one thousand lakes and spectacular landscapes make the Kamloops region the natural place to live and experience unparalleled adventure opportunities. One year recent related clinical experience in the assigned practice environment on an operating room similar in size and scope to the facility is preferred. Willingness to live, work and play in Kamloops, BC.